The Walkera Runner 250 FPV Racing Quadcopter comes with cool and innovative features designed particularly for drone racing, and the modular designs gives fliers to replace the damaged components in a matter of minutes. 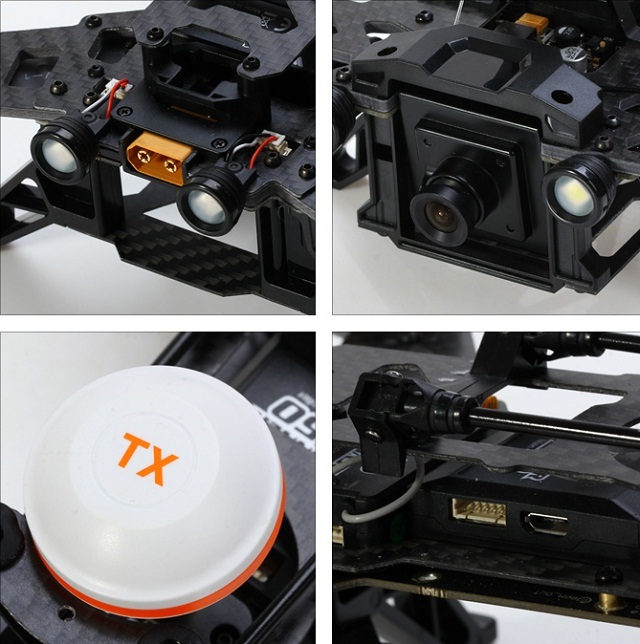 The drone’s flight controller, speed controllers, receiver, OSD, FPV Transmitter, and LED Lights have been created so that they can be plugged in directly into the integrated printed distribution board, and it doesn’t even need any soldering, making it easy to build and repair the gadget. The drone has a compact, carbon fiber main frame that is both durable and tough to handle, making it an excellent device to handle inevitable high-speed accidents. The drone’s built-in LED light in the back and front can also help with night flying. It also gives fliers orientation when flying in the line of sight. The drone also features self-tightening and toughened composite props, similar to that of a dampened camera mount platform. 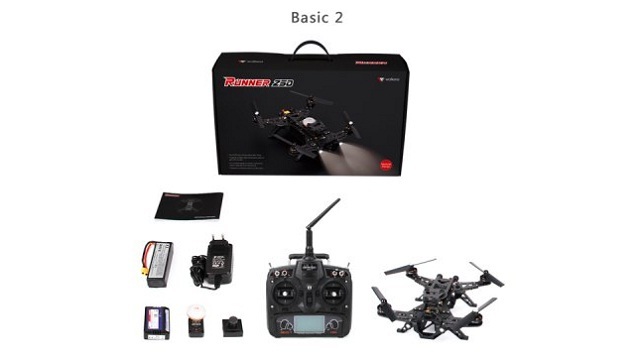 The drone comes equipped with an on-board OSD module that helps overlay recorded video during the flight, with important race telemetry such as battery voltage and the drone’s tilt angle, among other things. 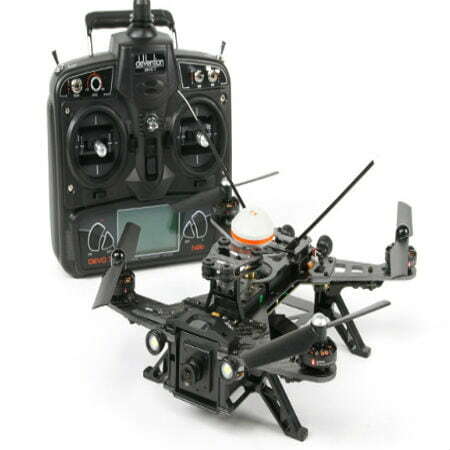 The quadcopter uses a 2.4Ghz Devo 7 transmitter with 5.8Ghz FPV video transmission for drone control. It also has a view being recorded on the built-in 800TVL camera that can adjust flight settings. The FCC-approved video transmitter comes with a mushroom-style antenna for better reception and range, while its 2100Kv motors match with the ESC to provide more power for flight. With a LiPoly battery and charger, the quadcopter provides a 12 to 14-minute flight time, making it the perfect quadcopter for beginners and pro-FPV racers.